Do you know what one is salt? What one is sugar? This photo was taken through microscope at 400x magnification.For more information on the photo, please check out the information on the microscopy challenge. I’m guessing sugar left, salt right. 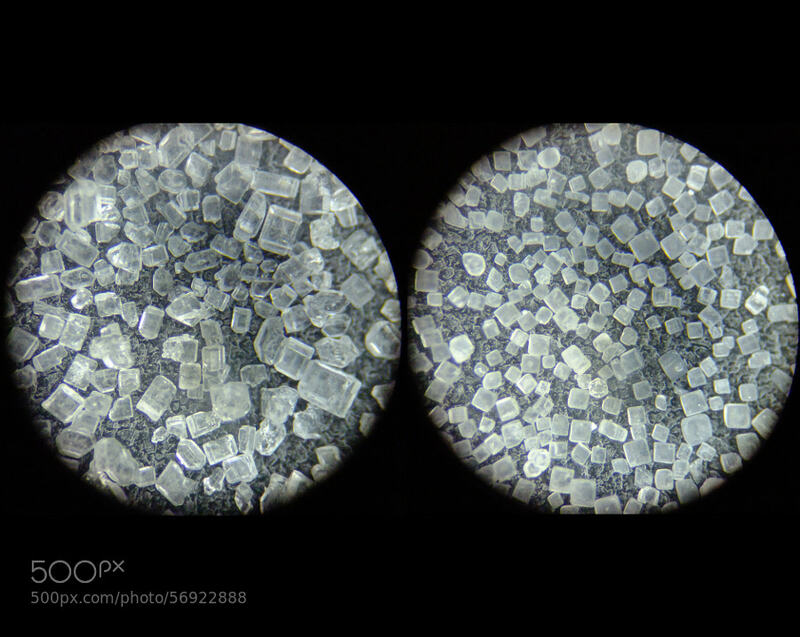 The non-cubic forms on the left makes me think it can’t be something as simple as NaCl. I agree with Ema, sugar left. Plus I assume sugar will make bigger crystals as a larger, more complex molecule? It is sugar on the left! And I agree with Ema’s reasoning.